يشكل Bella Vista Queenstown بموقعه الممتاز في المدينة نقطة انطلاق جيدة لاستكشاف أفضل ما فيها من معالم ومناطق نابضة بالحياة. يجذب هذا العقار ذو 4 نجوم، والذي يبعد 0.300km فقط عن وسط المدينة و 6 km عن المطار، الكثير من الزوار سنوياً. يشكل هذا الفندق ملاذاَ مريحاً للاسترخاء ويمنح زواره فرصة للاستجمام والتجدد، وهو يقع على بعد خطوات من المعالم السياحية الكثيرة للمدينة. يقدم Bella Vista Queenstown خدمات لا غبار عليها وكل أشكال اللياقة وحسن الضيافة اللازمة لإسعاد ضيوفه. تتضمن الميزات الرئيسية في هذا الفندق: واي فاي مجاني في جميع الغرف, خدمة التنظيف يوميًا, خدمة حجز التذاكر, مجهز لذوي الإحتياجات الخاصة, مرافق مخصصة لذوي الاحتياجات الخاصة. يمكن للنزلاء الاختيار من ضمن مجموعة من الغرف المصممة بعناية لتعكس جواً من الراحة، والتي يتجاوز عددها 24. سواء كنت من محبي الرياضة أو كنت تتطلع لتفريغ عناء نهار صعب، ستجد خدمات ذات مستوى عالي بانتظارك كمثل مسار جولف - ضمن 3 كم. إن Bella Vista Queenstown هو خيارك لخدمة الفنادق الراقية في المدينة. تتوفر مرافق الدش فوق حوض الاستحمام في أنواع الغرف: Spa Studio and Large Studio. الدش يوجد في حوض الاستحمام. يقبل مكان الإقامة الدفع عبر WeChat. Good location, close to gondola, close to city centre, free parking. Great to read you enjoyed your stay at Bella Vista Queenstown - we do hope to host you again next time you are visiting. Thanks for your feedback, we are pleased you felt well looked after during your stay! The location is walking distance to town and a big supermarket. Has informed the staff that we are checking in late, and they help to arranged it. Really appreciated it. Comes with an equipped mini Kitchen except stove. Bella Vista is so lucky to be only 5 mins walk to the Lake front and Gondola, it does make for a great destination from which to explore Queenstown! I was travelling with my daughter and got a warm nice welcoming from the lady at the reception desk. Not only she was friendly she was also let us checked-in earlier. The room is equippes with complete kitchenette and there is alsoa microwave. Very convenient indeed. The location is very near to the town and we got first pick up for our Milford tour. Great to hear you had a positive experience and comfortable stay with us! thanks for sharing your feedback. Location is great. Walking distance to the Queenstown gondola / Luge. A short walk down to the town centre where there are many restaurants and shops etc. Hotel staff were very helpful and friendly. Queenstown is a very beautiful place. Definitely loved it here! Yay great to read you had a fabulous stay with us recently! 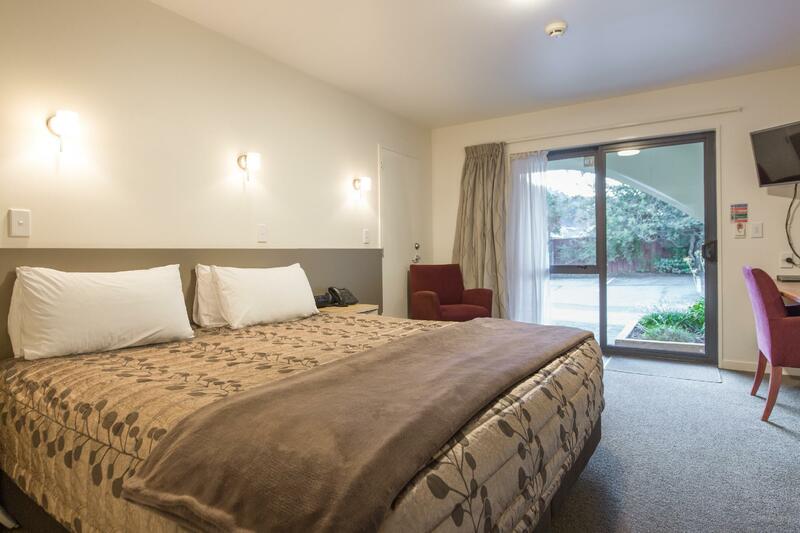 Bella Vista Queenstown is a great little place with about 25 rooms. The property is a 5 minute walk to downtown and the waterfront and is located near the bottom of the Skyline gondolas. We spend most of our time on adventures and not sitting around a hotel room. For us the value, a good night sleep, and near by restaurants and activities are a must. This place had a comfortable bed, a kitchenette supplied with tea, coffee, and fresh milk daily. There are some great places for breakfast and a double flat white only a 3 minute walk away. While in Queenstown, be sure to check out the Kiwi Birdlife Park which is next to the Skyline gondola. The Birdlife Park was worth the money and was surprisingly large once we were inside. Hi Scott thanks for the really lovely feedback and review! we are so pleased you had a great stay with us and would love to host you again next time you are back in Queenstown. Great property, great location, newly renovated, friendly & helpful staff. I will come back, thank you for your hospitality. Thanks Mo we look forward to hosting you again soon too! Great location - within 10 minute walking distance to the town. Free parking - just park your car at the motel and walk to the town (not easy to get a parking at town). Great staffs - we managed to inform them about our estimated arrival time (which was after the recption closing time). They left the key in a box outside the office with very clear instructions on everything about the room. They even helped us to turn on the heater before we arrived to keep us warm when we entered the room - thanks for the thoughtfulness! Great value for money - highly recommended this motel to everyone. Thanks for taking the time to share your feedback with us - we are so pleased you felt well looked after! We hope to host you again soon. There's everything I need in my room. Although, there was a problem with the toilet's door, but they did make sure to come and fix it for us. The staffs are so friendly. It was pretty far from noise, if anyone who love quiet place and want to have a private time for a rest, I would recommend Bella Vista for sure! The staff were very friendly and helpful, all in all a very pleasant place to base ourselves. The room was comfortable and clean and spacious. Located a short walk from most attractions which meant we didn't have to use our car after we arrived. And that was a good thing because parking in Queenstown is limited and traffic was heavy most of the time. Yes we are certainly very lucky Janine that Bella Vista has ample parking - we are one of the few motels left that does! Very helpful and friendly staff, walking distance from CBD and major attractions; numerous extras in terms of facilities - oven, cooktop and microwave, lots of appliances, even commercial grade washers and dryers. The only accommodation to send us a pre-arrival letter. Very detailed instructions to retrieve the key, location of rooms since we arrived late. Room was a bit too small for us. Hardly any walking space. Otherwise, it was a pleasant stay. Great to read you felt well looked after by our team - we do run at exceptionally high occupancy and our studio rooms do get booked out quite quickly. 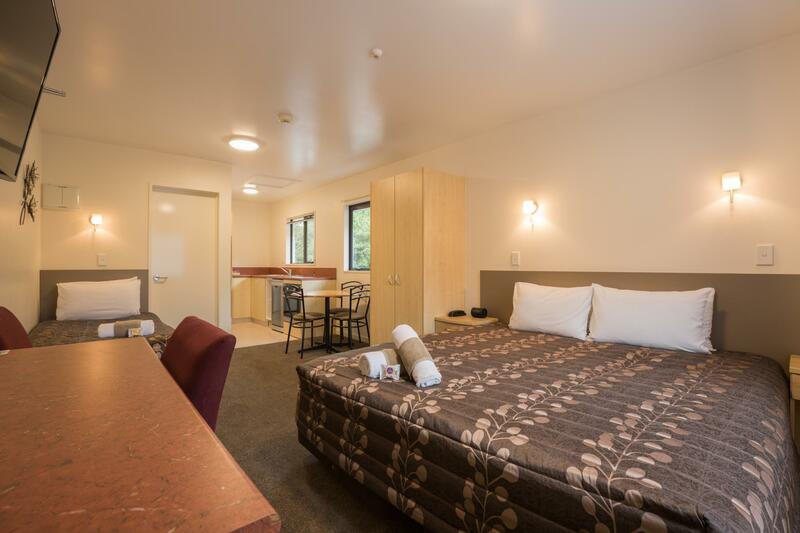 We have 7 different room types, some are smaller compact style rooms and others are larger apartments with full cooking facilities, so if you are planning a repeat visit to Queenstown please do let us know as we would be keen to advise on the room type that may suit your needs best. We basically just stopped over here for our first night at Queenstown. Everything was quiet alright; Clean room and toilet, fast free Wi-Fi with strong signal, a great view over a wide field, short walking distance to the downtown area but was located in a very quite place, and free parking. Some minor disadvantages include a small space for baggage and the need to move your luggage to the second floor if you're assign to it. Our fast and complimentary Wifi is often something we get lots of positive comments on, as we know how frustrating it can be when you are trying to keep in touch whilst away from home! Thanks for sharing your feedback. Location is a 15 mins walk to the city center. Not too big a concern of you are looking for a quieter place to stay. Plenty of parking space available in the compound. We had to do an out of office hour check-in. Staff was really informative and left us a note to guided us along on what is available around the area and informed us that they have left the heater and lights on for us. 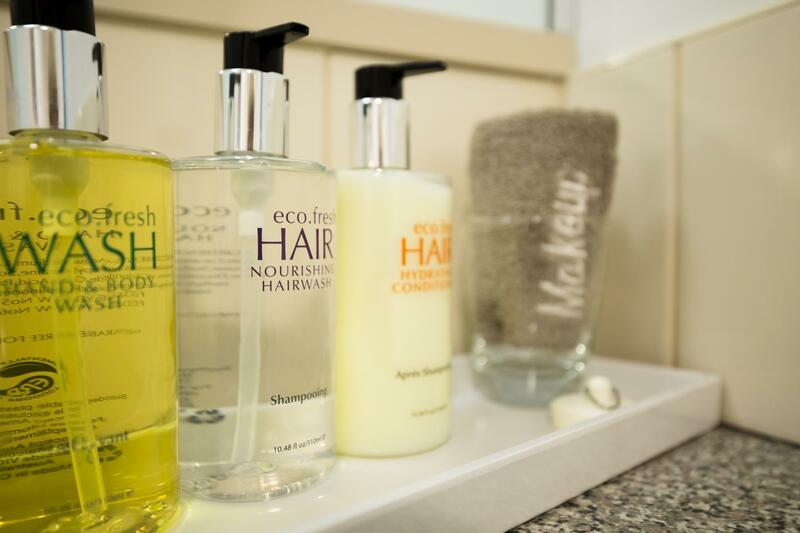 Little attention to details like these is what makes by stay special. Keep up the good work people! Awesome location with beautiful mountain views. Staff were very helpful. Very close to central CBD / shops. Will definitely stay there again. Gave "facilities" a 4 as we would have liked cooking facilities. Thanks so much Selina, we hope to see you again soon! Great to read you had a lovely stay with us - we do appreciate your feedback. 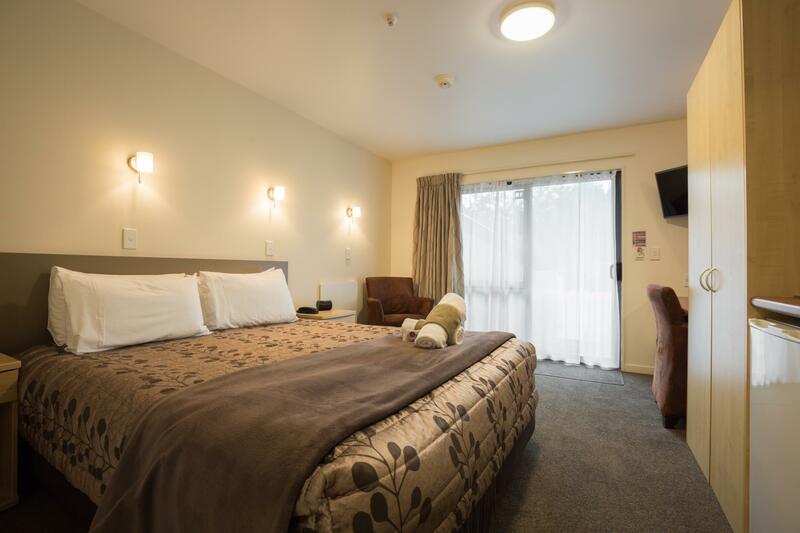 In order to go to Milford Sound, I stayed this hotel. Although this hotel seems old fashioned hotel from outside, the room was wide, renovated and very clean. You can enjoy stay with your family or for couples. Location was good to go to big super market by walk around 3 minutes, go to Shotover street by walk aournd 5 minutes and Skyline Gondra station by walk around 5 minutes. I want to saty this hotel with my family next time. Just 1 thing my room:s safety box was broken. I was satisfied with the stay other than it. Thanks so much for your lovely review Diane.